It is rocket science they say when a subject/topic is too difficult to understand but if you find physics interesting, then nothing, not even rocket science, is rocket science for you! From discovering that the earth was round, to the theory of gravity, from the theory of relativity to the discovery of radium, physics has a wide variety of applications. There are several branches of physics and depending on the one you find interesting, you can make a career for yourself in it. 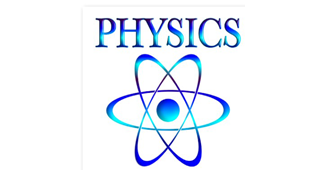 Instead of describing the various branches of physics, let us look at what fields you can find a job in after doing courses in physics. Space Technology is one of the most sought after career options. If your aptitude and interest in physics is accompanied by dreams to land a spaceship on the moon or some other planet/galaxy, space technology is probably the field for you! Institutes like the Indian Institute of Space Science and Technology offer under-graduate/post-graduate/doctoral/post-doctoral programs which will interest you. The most happening area in physics or for that matter any other field of science is research. Because there are so many theories to test out, as many discoveries waiting to be made as there have already been, the field of research is always in action. In fact whatever industry you choose to be in, there is always a research team working to keep pace with ever-changing technology. Technologies such as radiation and ultrasound which have revolutionized the medical industry are a result of research in physics. You will need a basic degree in physics followed by a Masters in the branch of your choice. While pursuing your doctorate, you can choose your field of research and pursue it through your career span. If teaching is your forte, you can choose to teach in colleges/universities. You can appear for NET examination after your Masters and begin applying for teaching positions in colleges and academic institutions. If you prefer teaching younger children, you can choose to do a B. Sc B Ed. and teach secondary school children. If your writing skills are as good as your physics, you can consider working for specialized science magazines/journals, writing/editing articles on physics and even writing books/text books on physics, simplifying the subject for the rest of us who still find rocket science to be rocket science! There is no particular educational path that you need to follow to be a writer of books on the subject. You will need a Masters in the subject at least to be considered a subject matter expert. In the age of global warming and depleting natural resources, the need of the hour is to develop sustainable technology that uses minimal resources and does not add to the already existing pollution. With a firm grounding in physics, you can contribute immensely to discovering green technology. While there is no specific course that you can do on green technology in India and since all fields require clean technology, you can choose any field within physics and choose to develop environment-friendly technology for that sector. The advancement in technology has led to several innovations and these have to be tested for viability. As a clinical researcher with a physics background, you can find yourself working in any kind of clinical trial – right from testing drugs to using a device, since an orientation in physics prepares an individual for a methodical approach and logical thinking towards anything – an essential requirement in the clinical research field. Engineering – be it mechanical, aerospace, chemical, food, agriculture, etc benefit from an exposure to physics, so if physics is of interest to you, you can plan to take up engineering after 12th and use your knowledge of physics in whatever field you choose to become an engineer in. Computer technology, be it hardware or software also requires knowledge of physics. You can consider doing courses in these fields after 12th. The study of relationship between planets, stars, galaxies etc, astrophysics – the study of how celestial bodies such as stars, planets etc are created, space physics – the study of space which has lead to path-breaking innovations such as use of satellites for communication and the invention of microwave ovens, geophysics – the study of earth and its properties, are all fields that require a sound knowledge of physics and can be a good career option for you. Since physics is the study of matter, energy and the interaction between them, it encompasses all that we do in our lives. The scope for physics, therefore, is quite wide. With a basic degree - a B.Sc, B.E or B. Tech, which can be pursued after 12th, you can choose to explore various fields and find the one that best suits your interests.